indoor meets at the University of Wisconsin Platteville. of 7.06 set by Kyle Pulvermacher in 2016. 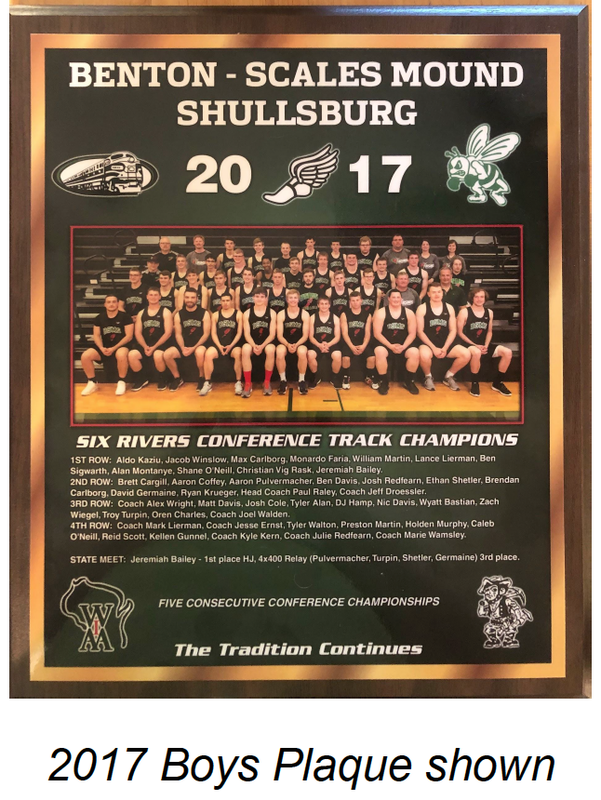 The BSMS girl’s team finished in first place at the Sectional competition held in Bangor, Wisconsin this past Thursday, with the boy’s team finishing in third place. 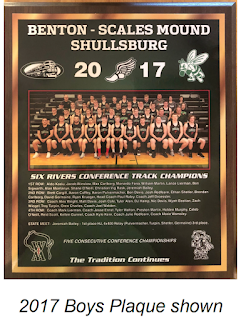 In all, 27 athletes from Benton, Scales Mound and Shullsburg competed, with 15 of them moving forward to the State Championships in La Crosse this Friday and Saturday, June 1st and 2nd. 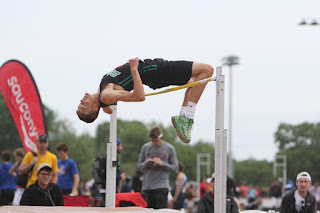 Girl's high jump will begin at 3:30 featuring Trinity Law and will be followed by boy's high jump with Ben Davis, Matt Davis and Tyler Allen all competing. Girl's shotput will begin at 3:30 with Brianna Leahy competing. Girl's long jump with Trinity Law will begin at 3:30 with finals at 5:15. Boys triple jump with Caleb O'Neil will begin at 3:30 with finals at 5:15. Girl's discus will follow the boys competition with Brianna Leahy competing. 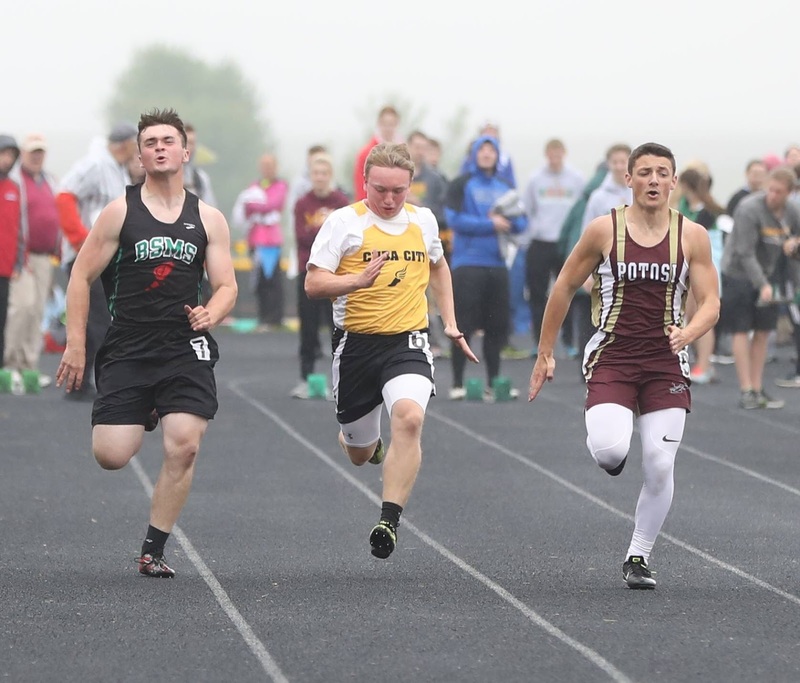 Boys 100 meter dash with Zach Wiegel competing. Girls 100 m hurdles with Emma Lawrence and Claire Tiedman. Girls 200 m dash with Emma Lawrence competing. Boys 400 meter dash with Aaron Pulvermacher. Girl's 300 m hurdles with Emma Lawrence. Boys 300 m hurdles with Matt Davis. Boys 800 m run with Chandler Kelly. Girls 3200 m run with Hildie Sigwarth. Note: Even though these pictures were not taken at the regional meet, they were great photos taken by Josh Redfearn of the Regional athletes that were too good not to share! and travelled with Coach Raley and Coach Bastian to the event. The men's 4 x 400 team ran an overall time of 3:33.